Preschoolers love to be read to, but not just picture books. Given the right book, preschoolers also enjoy a longer, more suspenseful story offered in chapter books. Here are seven tips for reading chapter books to preschoolers, even the very wiggly kind. These books are sure to keep your preschooler’s interest, plus at the end of this post is a list of my top 25 all-time favorites, preschooler approved, chapter books for reading aloud. 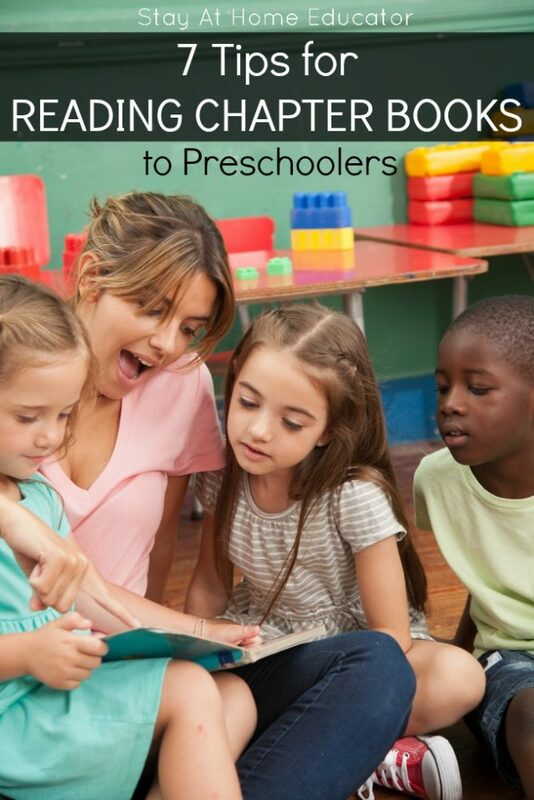 There are a million and a half reasons why every good preschool program includes story time. There are so many emergent literacy skills that can be packed into a short ten minute story time that teachers and parents would be amiss not to include it. 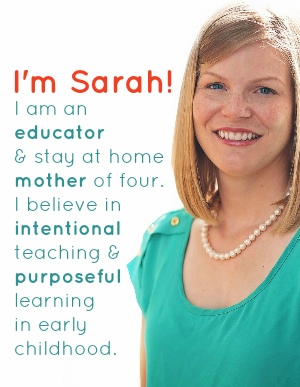 But, have you ever considered reading chapter books to your preschoolers? I love including chapter books as part of our read aloud time in preschool. Preschoolers can enjoy the more lengthy stories because they are broken down into chapters, and each reading session, as you ask what was read the day before, opens up the most amazing discussions for reviewing the story and using the most simple reading strategies that aid comprehension. But I have to tell you…not just any chapter book will do. You are going to want books that are written in short chapters of five to ten pages as most. With some pictures, and a plot the children can relate to. Here is my most recent pick. It’s a series, in fact, and one of the most enjoyable I have ever read. (And, it turned my reluctant second grader into an avid reader). I’ll tell you all the reasons why I love this book series as I also share some tips and tricks for making chapter book read alouds fun for preschoolers. Even if you’ve been in the teaching biz for years, or even if you are a graying parent, reading chapter books to preschoolers doesn’t come naturally to everyone. Here are seven tips to make your read aloud stories captivate even the most difficult of audiences. I listed this first because it is a big one. The chapter book you choose will make or break your read aloud experience. 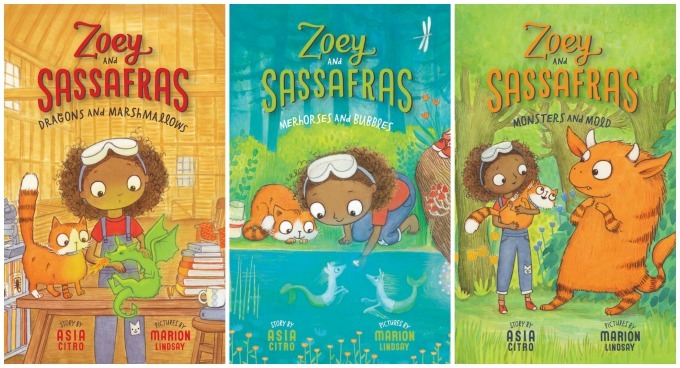 The Zoey and Sassafrass series by Asia Citro is a perfect choice. They are about a little girl who is accompanied by her silly cat, and together they help magical animals and use science to solve their not so ordinary problems. Relatable characters – Zoey is a fun-loving and curious kid, and her cat Sassafrass is a great pal for her adventures. Short chapters – These books have chapters that are on average seven pages, making them the perfect length for reading to preschoolers. Some pictures – Preschoolers do love seeing pictures to help them understand the story. The Zoey and Sassafrass books have a picture on nearly every page. When I was in the third grade, my teacher read my class the book James and the Giant Peach. It was wonderful to listen to, in part because my teacher could do voices as well as Robin Williams could. No student’s mind could wander away from the book. Vary your voice by volume – Using various voice volumes while reading will keep preschoolers interested. Vary the reading speed – Sometimes read a few sentences fast, paired by reading a few more slowly. This is one of my favorite techniques while reading the Zoey and Sassafrass books. Try out different voices – You might feel silly, but a promise your preschoolers will love whatever you try out. And good book is going to have some new vocabulary, and that’s such a great thing. Take a short second to explain those new words to your preschoolers instead of glazing over them. Just a brief explanation will do. The Zoey and Sassafrass books are packed full of useful science words. And get this, these books are aligned to the common core science standards! Talking aloud about the text models for the children who they could be thinking about the text. This is one of the very best things teachers or parents can do to help increase their child’s comprehension. Let’s be honest. Preschoolers are a little self-absorbed. But when it comes to reading books, that can be a really good thing. Try helping your preschooler relate the text back to themselves. “What have you been worried about before?” Yes, asking questions like this may lead your preschoolers into a long diatribe about how much they miss their own mom when she is gone, but this kind of connection is good for comprehension, but also makes children more interested in the book. It means the characters are relatable, which is key for reading chapter books to preschoolers. Finally, know when to stop the reading session and move in. This is one of the most important pieces of advice I could offer in regards to anything preschool related! It’s important to take cues from the children and leave an activity when the children are no longer interested and learning. 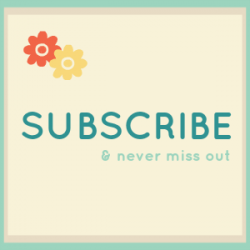 I love the Zoey and Sassafrass books because the chapter length is perfect for preschoolers! Seriously perfect! Not too long, and not so short that you’ve read then entire book in one session. (Although my second grader wouldn’t put it down after his daily 20 minutes fo reading was up). 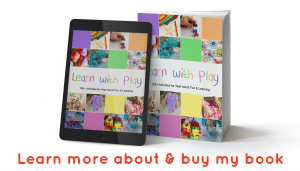 Looking for more chapter books that your preschooler will love? Try out some of these! I am unable to see the “24 CHAPTER BOOKS PRESCHOOLERS LOVE” on this page. Is there a link I am supposed to click? They are book recommendations at the end of the post. They are at the bottom of the post, under the heading “16 Chapter Books Your Preschooler Will Love”.